Board of Secondary Education, Odisha's Odisha Teacher Eligibility Test is a Eligibility test similar to OSSTET & CTET. The 2018 OTET Exam Was Held On 16th Jan 2018. NOTE: This exam was dismissed or cancelled due to the paper leaked on Social Media platforms. The Paper-2 was never conducted due this issue. 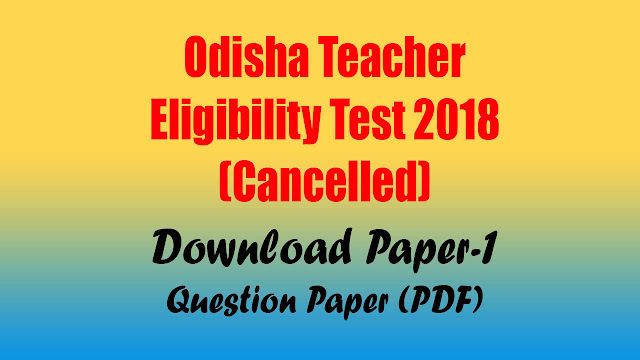 The following is the Paper-1 question paper PDF files for candidates who are practicing for upcoming OTET Examination.